In late November, the educational toy maker manufacturer, VTech Holdings, announced that 11.6 million accounts were compromised in a cyber-attack that hit them on November 24. What makes this particular breach different from the rest is that children are involved. In fact, over 6.4 million of the individuals affected by this breach are children, leaking their personal names, genders and their birth dates. Of the 11.6 million account affected, 4.8 million belong to parents with the leaked information including names, email addresses, passwords, security questions and password retrieval, IP addresses, mailing addresses and download history. Unencrypted call logs from VTech’s messaging service, Kid Connect, as well as encrypted audio files are believed to have been compromised as well, but this investigation is still ongoing. In September, Experian, one of the biggest data collectors in the world, announced its server had been hacked, affecting over 15 million T-Mobile customers. 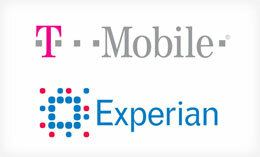 T-Mobile customers who applied for Experian credit checks between September 1, 2013, and September 16, 2015, are among the customers affected by this breach. Experian realized in late September that an unauthorized party was accessing T-Mobile data housed on a server, including information like names, addresses, social security numbers, birthdates, passport numbers, and additional information used in T-Mobile’s credit assessment. While both Experian and T-Mobile insist that no credit card or banking information was compromised during this breach, the information compromised can still be used to commit identity fraud. In June of 2015, OPM discovered that the background investigation records of millions of current, former and prospective federal employees and contractors were compromised during a cyber-attack. 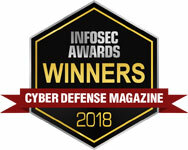 Sensitive information like social security numbers of 21.5 million individuals was stolen from the background investigation database, 19.7 million of which applied for background investigations and 1.8 million non-applicants, primarily spouses or co-habitants of the affected applicants. Usernames and passwords used by the applicants for background investigation forms were also stolen, as well as 5.6 million fingerprints. Stay tuned for the #1 and #2 Worst Data Breaches of 2015!